Louise our Salon Director was a finalist in this prestigious event. Trend Vision started way back in March with over 900 photographic entries from over all over the country. These were then judged and 16 are chosen from each region chosen to take part in the regional finals (there are 4 regions). At the regional finals four competitors are then chosen to go to the finals in London which were held this month. Louise was the only person from the North East to get through to the finals (an achievement in itself). 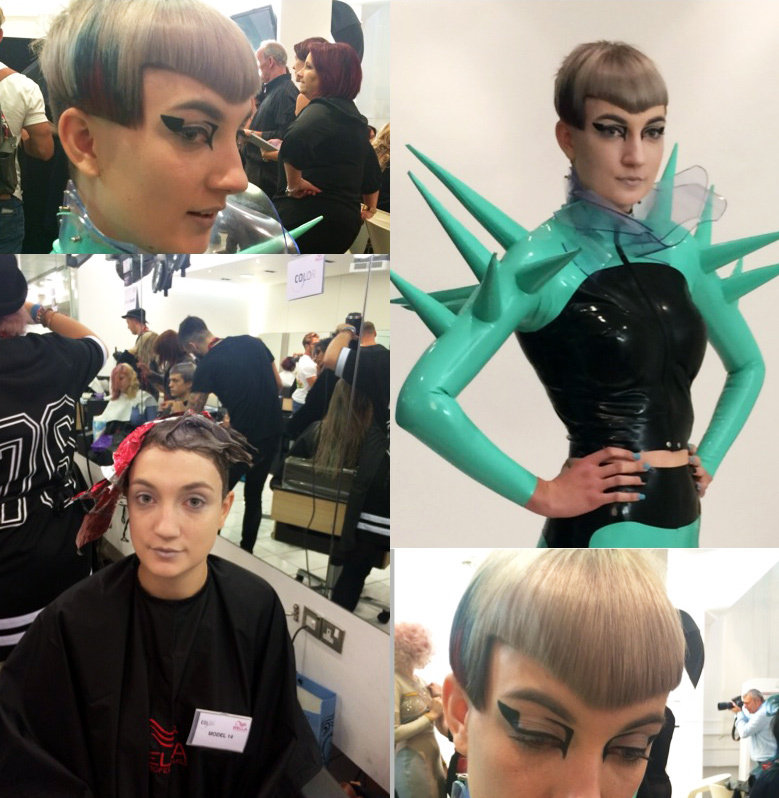 We went down to London on the 5th and 6th of October and had a fantastic two days, with the competition being held on the Monday – judged by top names from the industry. Louise competed in the ‘Colour’ category – but not only the hair it was the whole look… outfit and make up. We had help from a fashion designer called Dayne Henderson who created the model’s outfit for us (he’s amazing), and the lovely Sarah Roe who came with us to do the make up . Well done to Louise for doing Newcastle proud and reaching the finals of this competition.